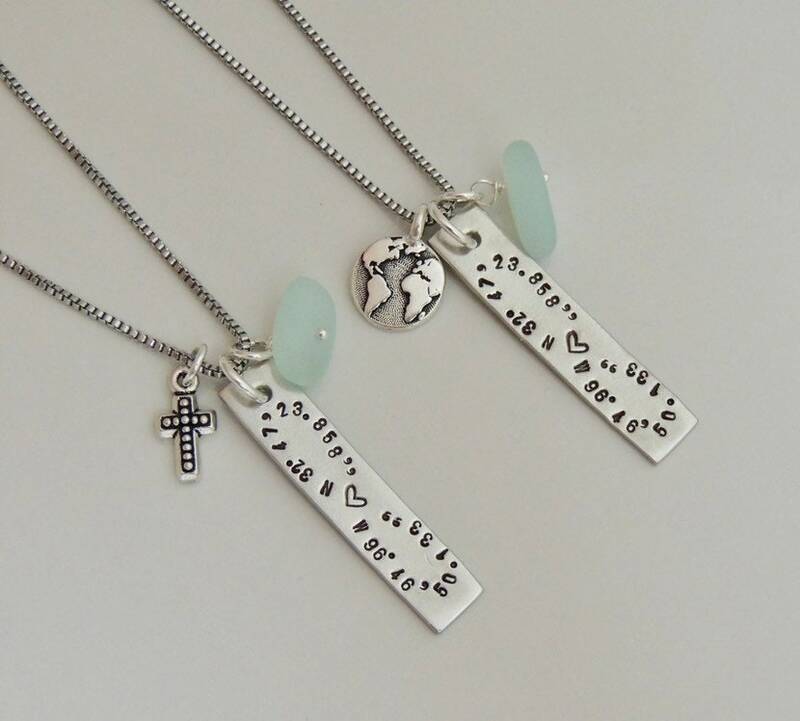 Have your necklace personalized with your custom coordinates from your favorite place. 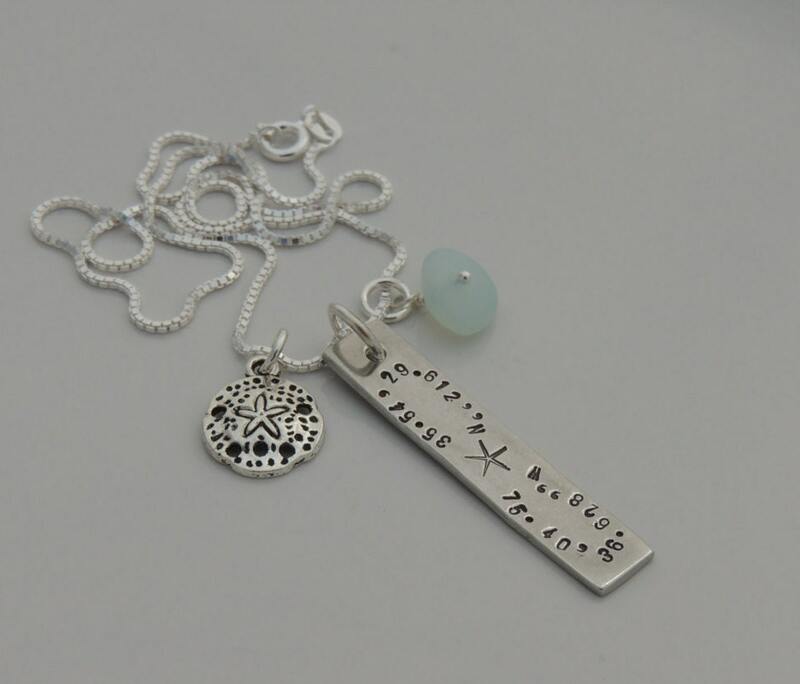 Coordinates can be stamped in an infinity pattern (as pictured) or straight lines. 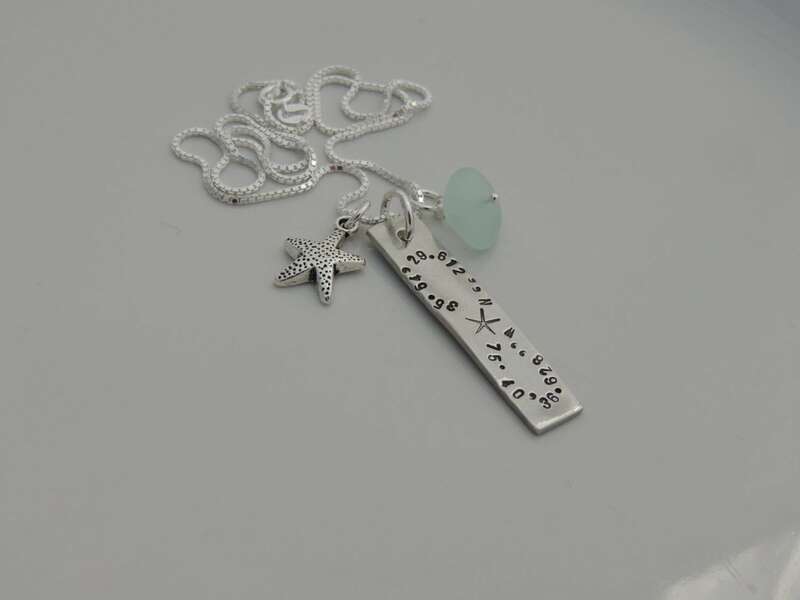 The necklace also includes your choice of charm as well as a sea glass drop or blue faceted glass drop. The necklace is finished with a beautiful chain in your choice of sterling silver or stainless steel. *Stainless steel is pictured in 1st pic. 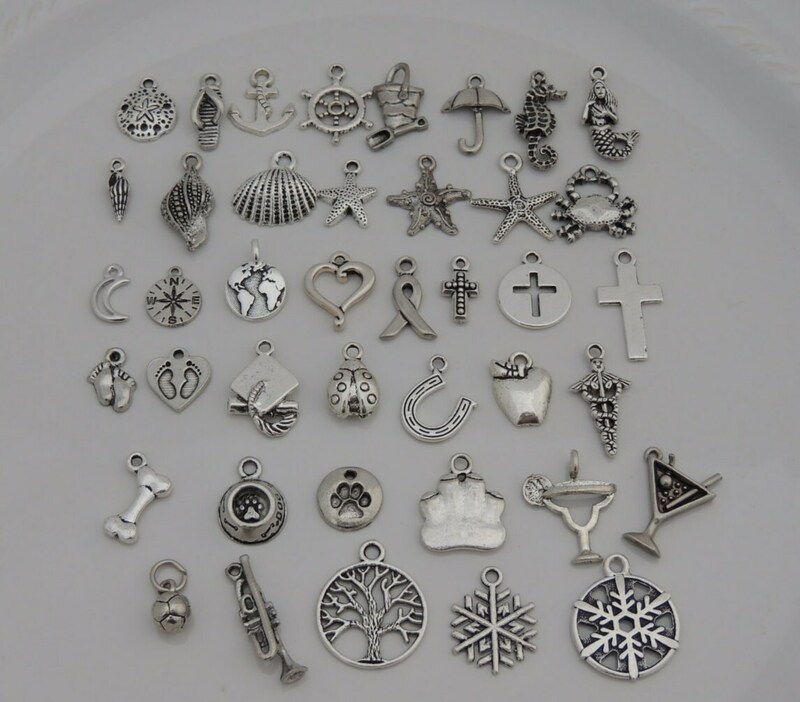 ** Sterling Silver is pictured in 2nd and 3rd pics. 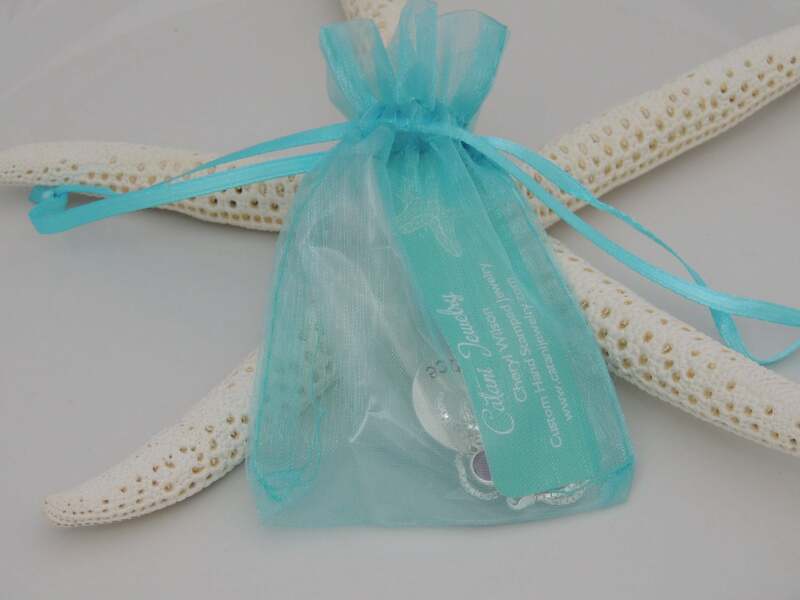 The hand stamped bar measures a little over 1-1/2" in length. 1. Please choose your chain and length from the first drop down menu. 3. Please leave me a comment in the "notes to seller" section with the coordinates you would like stamped on the pendant. 4. Please also leave me a comment with the stone you would like. 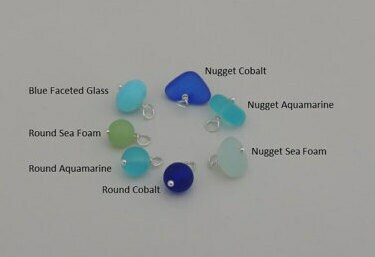 If a comment on the stone is not left, I will include a sea glass nugget charm in the sea foam color. Thank you. Absolutely loved the custom necklace. Great quality and very pretty. You can see the thought put into it.